If you've never been to the CSTA 2018 (Computer Science Teachers Association) conference before, you need to go to Phoenix, Arizona for their 20th anniversary conference next summer. This year's conference was held in Omaha, Nebraska, and was a huge success. With a record number of attendees (700), fabulous workshops, sessions, a vendor hall, and a field trip to the University of Nebraska, there were tons of opportunities to learn about CS, not only from presenters but from fellow attendees as well. The sessions were informative, the food was great, drinks were free (a couple), and the atmosphere of camaraderie made learners at all levels feel welcome and accepted. My head is still swimming with all the great things I learned, but below is a summary of my three favorite sessions. 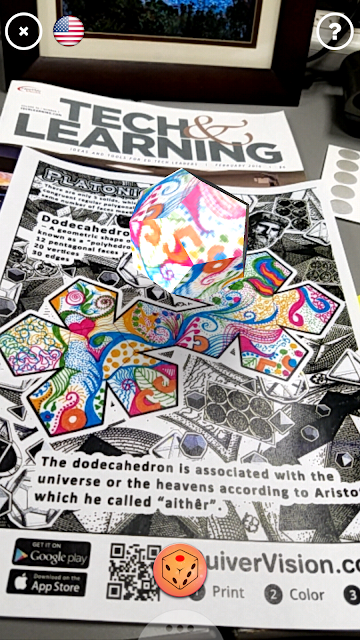 Augmented Reality - Breakout EDU mashup! This past weekend, my teammate Tiah Frankish and I attended the GAFE Summit put on by the EdTechTeam and hosted by Boulder Valley School District in Colorado. We learned a ton of new things, and were re-invigorated when we returned to work on Monday. For years we've taught students about the importance of maintaining and protecting their digital footprints. We know that what we post online and what others post about us can have a lasting impact on our futures. People pass judgement about us based on what dirt they can dig up in a simple online search. The information unearthed can determine whether or not we get that scholarship, job, or date we are pursuing. 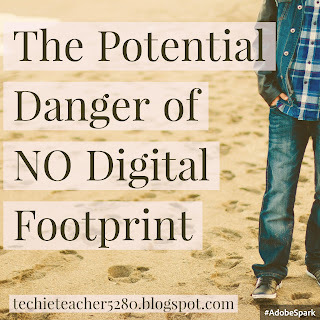 But can the absence of a digital footprint have a negative impact as well? Is it also important to ensure that you actually have an online presence that supports the future you wish to build for yourself? New Google Apps for Education Feature! Part of my job is to maintain online professional development courses for teachers in our district. We have a Google Drive course that I must comb through periodically to make sure the video tutorials are current and reflect the latest Google Drive features and interfaces. In doing so, I discovered a new (to me) feature that may have escaped notice for you as well! As you know, this summer (2016) ISTE will be releasing the newly revised standards for students. In the second draft of the standards, standard 1d calls for students to "experiment with emerging technologies, drawing on their knowledge of existing tools and operations, and demonstrate an agility in troubleshooting and solving technical problems." Although not yet finalized, it's a pretty safe bet that the final version of the standards will include some variant of this requirement. 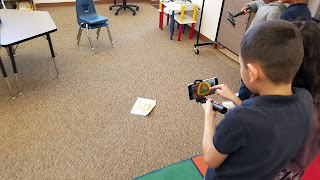 Although there are many ways to integrate technology, often presentation tools are used as a vehicle for formal or summative assessments and can be the easiest way for teachers to allow students to choose their own tool without direct instruction on how to use it. 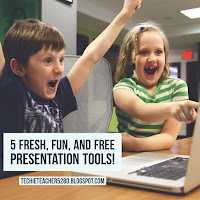 If you're looking for some new presentation tools for students to implement in lieu of Google Slides, Prezi, PowerPoint, etc., check out this list of five fresh, fun, and FREE presentation tools! 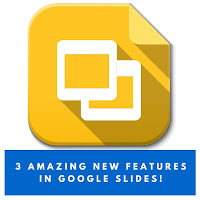 Google just released a couple amazing upgrades to Slides that I'm quite jazzed about! The most noteable is a new integrated backchannel/audience participation tool they're calling "Q&A". Now, when you're presenting using Google Slides, you can display a short URL that audience members can access and submit questions while you're presenting. Audience members can see everyone's questions and vote up the questions they also want to hear answered!